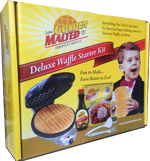 Our Waffle and Pancake Essentials Value Pack comes with two 33 oz. 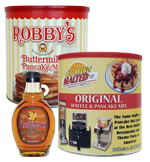 premium canisters of our most popular waffle and pancake mixes – Original and Original Robby’s Buttermilk Pancake Mix, plus a bottle of all natural Anderson's Pure Maple Syrup! This special value pack includes our most popular products together for one low price! 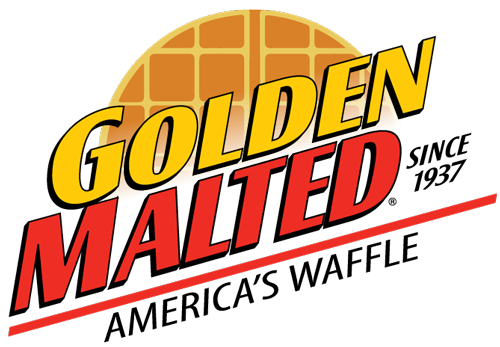 It’s ideal for any waffle and pancake lover to enjoy America’s Favorite Waffles and Pancakes at home. Contains one each of our 33 oz. 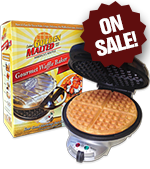 canisters: Original Waffle & Pancake Mix, Original Robby’s Buttermilk Pancake Mix and an 8 oz. bottle of Anderson's Pure Maple Syrup.